One year and a half after the highly-publicized announcement of Foxconn’s investment in Wisconsin, the state’s legislature has been kept in the dark about the electronic giant’s plan to fulfill its promise of creating 13,000 jobs. Since Foxconn broke ground in June 2018, the Taiwan-based manufacturer known as the iPhone maker, has constantly revised its vision for its Wisconsin facility. It first switched production plans from making large panel LCD screens to Generation 6 screens. On Wednesday, Foxconn said that it was refocusing on research and development rather than manufacturing, which means it will employ scientists and developers, rather than blue collar workers as originally promised. 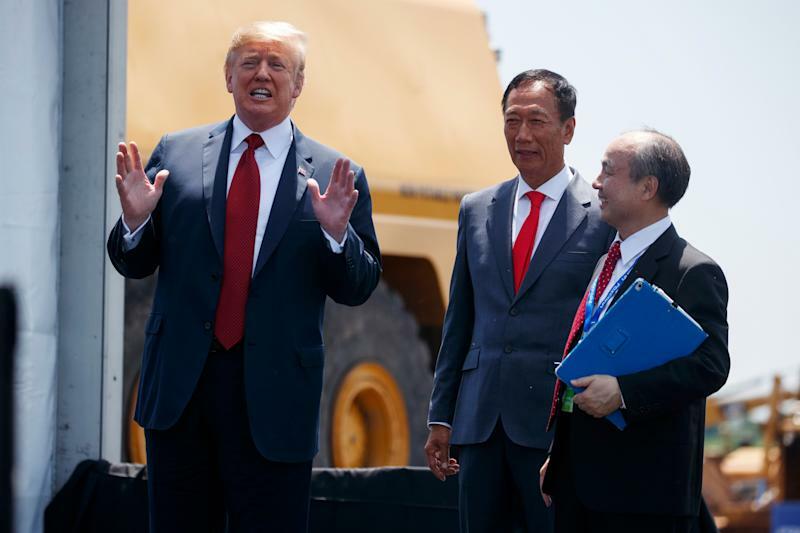 Two days later, the company did an about-face and said it will build a factory for displays in Wisconsin after its chairman Terry Gou spoke to President Donald Trump. Trump has touted the $4 billion project as the “eighth wonder of the world” and attended the groundbreaking ceremony in-person. The company didn’t mention the number of jobs it will create in its latest statement. Some remain skeptical. “They had a history of overpromising and underperforming,” Hintz said Thursday. Hintz said the state hasn’t paid out the incentives that are associated with employment and with capital investment, which could total to $4 billion of taxpayer money. Wisconsin’s economic development agency, largely controlled by Republicans, is protecting the Foxconn project from the newly-elected Democratic governor's intervention, according to Hintz. Governor Tony Evers’ team has denied reports that he is trying to renegotiate the Foxconn contract.